The mission statement is a vital element of any company’s brand and one that can have a long-lasting positive effect on the organisation. Mission statements provide a quick and clear understanding as to why an organisation exists e.g. ‘We want to provide the best car rental service…’ or ‘Our goal is to improve local infrastructure…’ etc., and no matter what industry an organisation operates in it should be able to sum up its purpose in a simple mission statement. The mission statement is an often overlooked asset in today’s age of social media channels and pay per click advertising, yet it is an asset that will always prove useful to an organisation as mission statements set the tone for every outward facing component of the business, from sales to customer service to marketing and beyond. Successful content marketing is impossible to achieve without a clear, informed and logical mission statement, as it will always guide you as to what steps you should take and in what order. For instance, if your organisation sells specialist magazines you may think that your goal is to make as much profit in this niche area as possible, and while profit may be the endgame this is not the optimal method for a successful business. Now if instead of stating that your mission is to ‘Generate as much profit selling X magazines…’, you stated that your mission is to ‘Improve our readers knowledge in this area with invaluable information…’ you’ll find that employees are driven by a desire to provide the best product possible as opposed to chasing sales, which will massively benefit you in the long run. 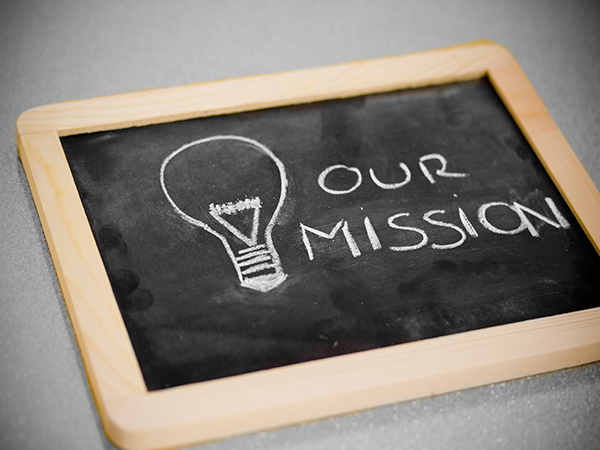 Mission statements help organisations to stay true to their goals and ensure that every department is on board and working together as a team.